The United States Senate on December 17 passed S. 1520, "Modernizing Recreational Fisheries Management Act of 2017. "� Kendall Dix, fisheries organizer of Gulf Restoration Network (GRN), released the following statement in response to today's Senate floor vote. "From the beginning, GRN's position has been that any update to the Magnuson-Stevens Act (MSA), our nation's landmark fisheries law, should have been done in a comprehensive reauthorization bill. While we are disappointed that the Senate rushed to take action during the lame duck session, the state of the bill is in better shape now than when it first came out of committee. Many of the poison pills were left on the cutting room floor, but we still have much work to do in the 116th Congress to pass a full reauthorization bill that would actually improve and strengthen the law. GRN is looking forward to 2019 when our broad coalition of chefs, fishers, and concerned citizens will help move the conversation forward. Now that we have new leadership in Congress, we have an opportunity to turn a new page and refocus our energy on building upon the success of a law that has been so essential in rebuilding our fisheries. 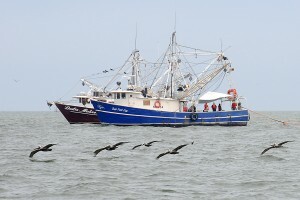 Coastal communities all along the Gulf Coast rely on a healthy Gulf of Mexico for both our culture and our economy. "